My last post argued that knowing about cognitive biases and how our brain works is valuable, even if knowing isn’t enough to effectively change our behavior. Tweeter Jessica Kerr sums this up nicely, “Knowing isn’t half the battle, but without it, we don’t know the battle exists.” Knowing doesn’t prevent automatic behaviors and biased reactions. However, knowing gives us words we can use to reflect on our actions and feelings. And then what? After awareness comes the really hard parts: consciously replacing undesirable, semi-automatic behaviors with more desirable ones. Much of our daily behavior is driven by habit. Social psychologists estimate around 35-50% of our daily behaviors are driven by habit. Personally, I think that may be somewhat on the low end. There’s a good reason for habits. 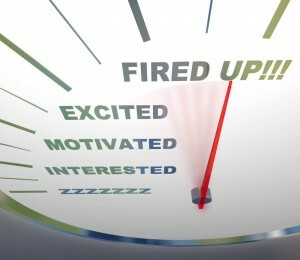 If we had to consciously think through every action we took, we’d be exhausted. When we have to consciously think about how to perform any task, it takes mental energy. And that wears us out. When we are tired we unconsciously fall back on our fast (associative) thinking to conserve mental energy and provide easy (if not always well-reasoned) answers to difficult questions. It’s better if we can slip on our shoes in the morning and tie them without thinking. We actively use our system 2 brain when we learn new skills or are placed into unfamiliar situations (think trying to navigate around a new neighborhood, learning customs in an unfamiliar country, learning a new problem domain or new programming language, or tracking down a tricky intermittent software bug). When we’re not forced to work so hard, we mentally take it easy. We’re NOT lazy. 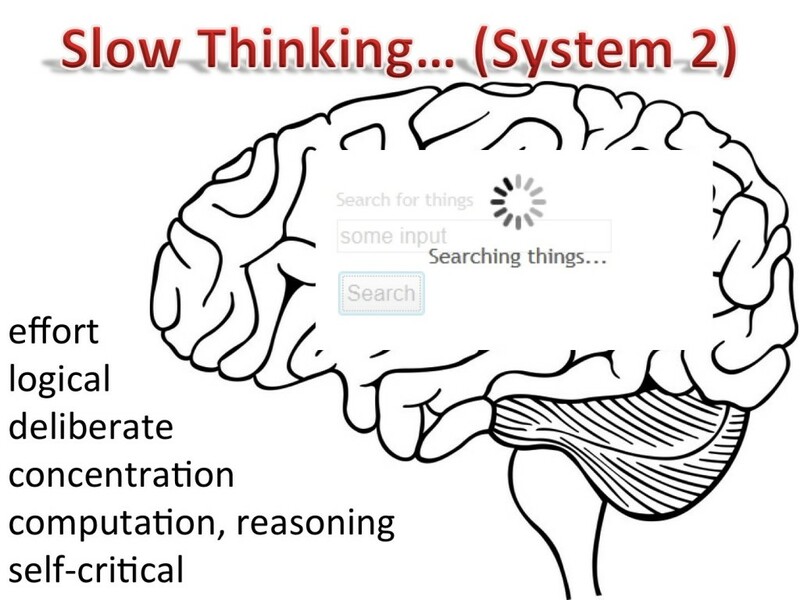 But we do many things out of habit, to conserve our slow thinking, system 2 brain for when we really need it. But what if we want to replace an old habit with a new improved one—and make that new habit automatic? To change entrenched habits, we have to find effective replacements, insert them into our daily life…and be vigilant. This takes energy and effort. The bad news: Old habits can still be triggered. They don’t disappear. They are simply supplanted by more recent habits (if those new habits can be successfully triggered). One way to thwart undesirable habits is to remove their triggers from your environment. That’s why some people recommend removing unhealthy food from your household and environment when wanting to develop healthier eating habits (easier said than done when you live with others or if there are always donuts at work on Fridays). When it’s impractical to remove undesirable triggers, you’ve simply got to deal with them. Instead of reacting blindly to that old trigger, you can experiment with introducing new behaviors for that trigger with even stronger rewards. When the donuts show up at work, treat yourself to a good cup of coffee and slightly healthier biscotti instead (if you really really like donuts this isn’t going to work). Better yet, avoid the strongest morning donut trigger by coming later on Friday after all the good donuts are gone (those stale donuts may be a trigger that you are still suceptible to, especially if you are tired). This isn’t easy. Change rarely is. Perhaps another solution to making changes stick is diligence. Be on the lookout for undesired behaviors/actions/triggers. Spot them, then quickly squelch ’em. Then go back to doing the desired behavior. This works, for a while. Exercising diligence takes mental energy. You only have limited amounts of willpower to spare and when it is gone, well, things can get ugly. That’s why after a stressful day (when your system 2 is already tired from everything else you used it for) that you can let down your guard in a heartbeat. And then, dammit!…you slip up. You notice you slip up, beat yourself up about it, and vow to be even more vigilant. But you slip up again and…rinse, repeat…. I am not going to continue down this rat hole because it IS depressing. So how do we get ourselves out of these mental ruts? Evidence suggests that too much retrospection isn’t good. So don’t beat yourself up when you slip up. Recognize that you’ve slipped up and try again. Switch things up and keep on trying (identify a better trigger or reward, experiment, try and try again). Don’t give up or give in to a defeatist attitude. Some good news: Research suggests we are more successful at changing behaviors when we go through life changing events—when we move, retire, graduate from school, go off to college, start a new job, quit a job, marry, get ill—we are more open to change. But I don’t wait for a big event to effect big changes. I don’t make New Year’s resolutions, either. Instead, I periodically mix things up and try new things just for their novelty. Life is a grand experiment. But still…research hasn’t yet shown how to sustain new behaviors. Even years after embracing new behaviors, we are prone to slipping up, given the right triggers (think vacations, travel, holidays). Knowing how we can slip-up is not enough to avoid slip-ups. Santos and Gendler are right. But believing that you can recover after a slip up is key to getting back on track. And that’s where a positive mindset, determination, the belief that you can learn from mistakes, and resilience go a long way towards making change and making changes stick. Footnote: The Power of Habit by Charles Duhigg is a good book for those wanting to know more about habits in their life and business. What good is knowing if it’s not half the battle? I am too old to have watched G.I. Joe cartoons…but somehow that meme worked into my brain and has colored my outlook on life. I’m always seeking new information. I want to know and then act based on that knowledge. 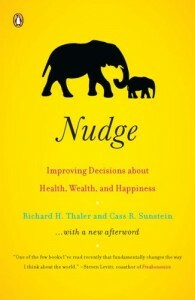 Santos and Gendler state that, “Recent work in cognitive science has demonstrated that knowing is a shockingly tiny portion of the battle for most real world decisions.” When it comes to making decisions, knowing about how our brains work isn’t enough to stop us from making irrational decisions, doing things in the short term that undermine our long-term goals, or being biased by seemingly incidental (and unimportant) information. In fact, knowing might even get in the way of taking appropriate action. But I like to know how things work. I want to believe that if I knew more about how my brain works, that I could make better decisions, act more rationally, and be less influenced by my goofy cognitive biases. Yet, when I read Santos’ and Gendler’s Edge response and dug into their research, I realized that I have been deluding myself. 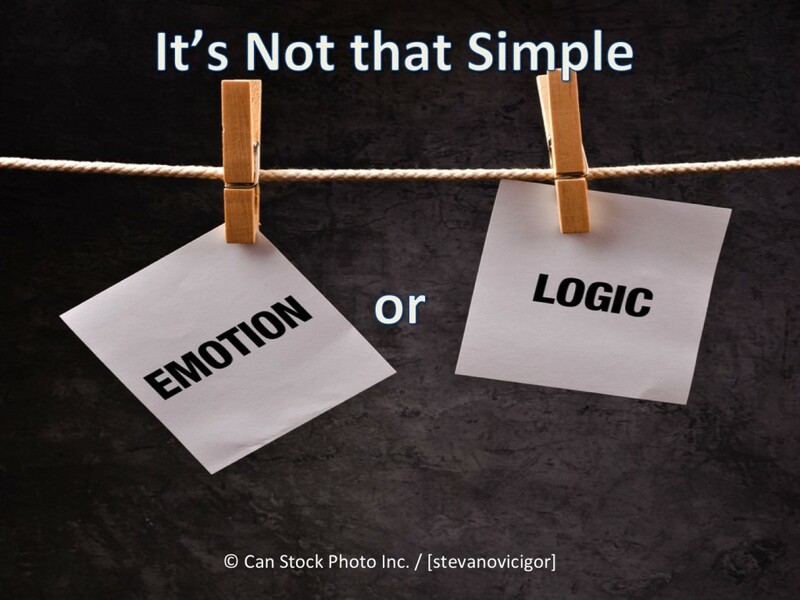 Knowing is rarely sufficient to overcome our “built-in” brain reactions. Knowing isn’t intrinsically bad. It just isn’t sufficient to effect change. Yet I still want to know how things work. I still believe knowing is incredibly powerful. So what good is knowing? You aren’t a better designer because you know design patterns. There is so much more to design than knowing a few patterns or applying them to solve a problem. But knowing about patterns enables you to have more informed conversations about what you see in existing designs and what design possibilities there are. 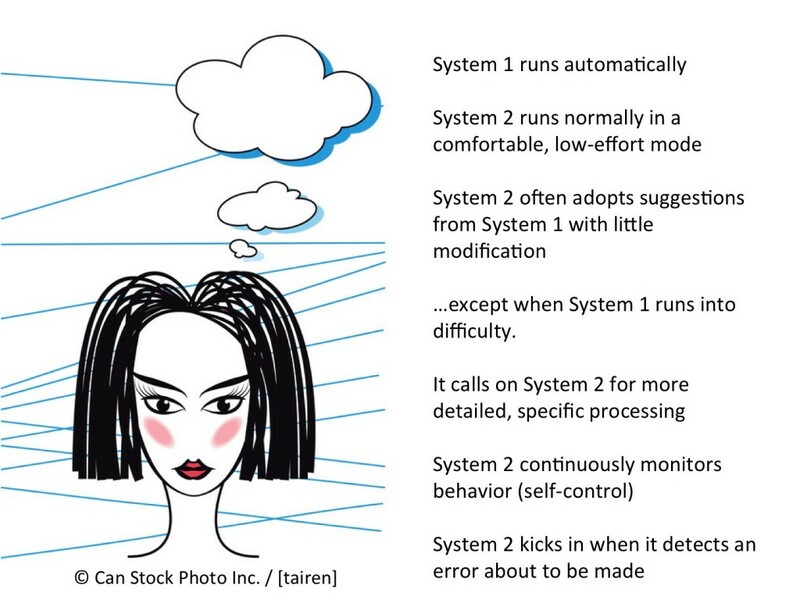 Knowing about system 1 and system 2 thinking as described in Kahneman’s, Thinking Fast and Slow, and how they interact can help you talk about how you behaved the way you did. Knowing about a thing or concept enables you to see it. 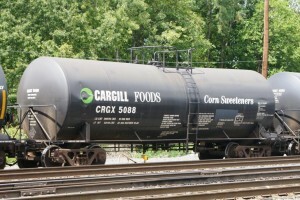 Once I knew of the Cargill logo, I spotted it everywhere. On trains, buildings, products. Before that, it was invisible. Knowing about cognitive biases can help you spot “irrational” decisions. Knowing about some thing helps you focus attention on it (which can at times be good). But simply increasing awareness and attention won’t guarantee that you won’t miss something else important or avoid making poor decisions. Simply knowing isn’t enough to eliminate undesirable associations or remove biases. Otherwise, you’d never have knee-jerk reactions and would always accurately weigh risks and rewards when making an important decision. 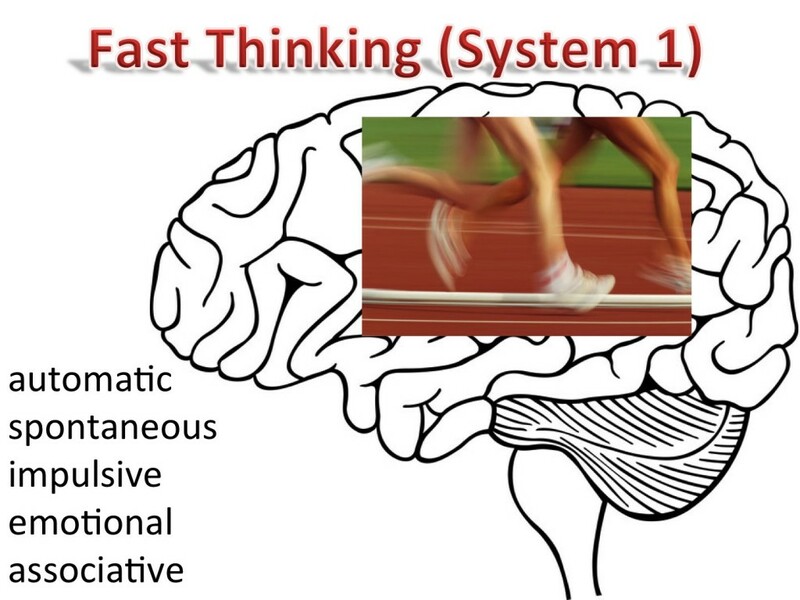 We can’t change our “system 1” thinking with its automatic fast associations. That’s how we’re wired. Associations are freewheeling, making us extremely susceptible to priming, anchoring, and myriad other cognitive biases. Knowing increases awareness. Maybe I’m overly optimistic, but I believe increased awareness is the first step towards making any significant change. Knowing doesn’t prevent the triggering automatic behaviors and reactions. But it helps us shape the words we can use to reflect on our actions and feelings. And then, what? If we want to behave differently, we need to take some action to avoid tripping up in the future. But since we can’t turn off our automatic reactions, what can we do? Indeed, changing “automatic” reactions is hard. And that’s the focus of my next blog post. 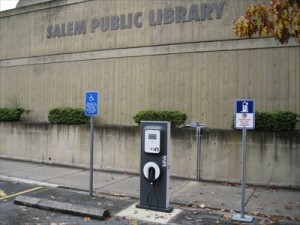 What Makes for Lively Centers? In this blog I dig a bit deeper into what makes good, lively centers. Let me introduce another property of lively centers: alternating repetition. 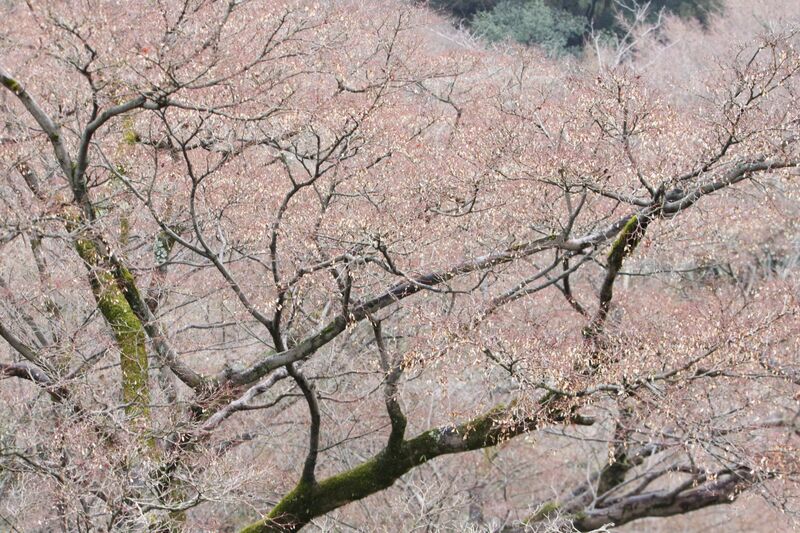 Consider this photo I took of blooming plum trees in Kyoto. The photo doesn’t do the scene justice. The flowering trees went on and on and on. Forking off the thick trunks were ever thinner arching mossy green and dark branches covered with blossoms. Those blossoms seemed to float between branches forming a sea of pink. I could get lost in those trees. Looking out over that landscape I felt peaceful, relaxed, and calm. 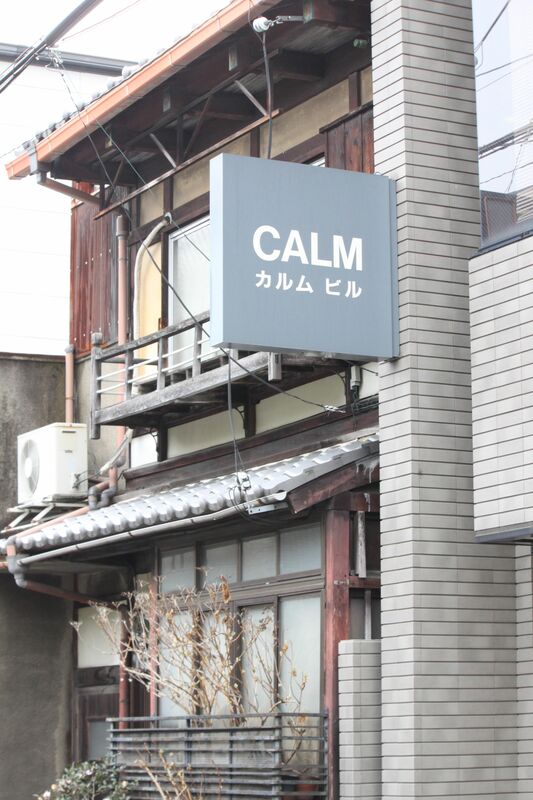 Earlier, walking the streets of Kyoto I snapped this photo (imagining the sign was inviting me to get with it, “chill out”, be calm and come inside to purchase whatever they were offering). That sign made me laugh. It contrasts the difference between strong centers that reach out and grab me with the rather flat-affect of everyday more mundane centers. The sign made me curious, but not enough to go inside the shop. Good alternating repetition doesn’t mean the same thing over and over again. It involves smaller sub-patterns of repeating structures. In preparing for our workshop on Alexander’s properties, I looked for an example of alternating repetition in my personal life. I jog. So it was easy to find alternating repetition in my running routine (Joe Yoder found it in his dancing). 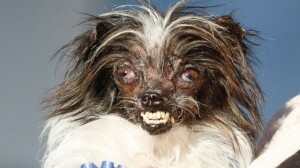 I jog several times a week. I don’t do the same routine everyday. Once a week, typically on Thursdays, I do tempo training with my running coach. She makes me run harder than I’d like to normally do for either a specific distance or time, then has me run easily for a bit to recover. I repeat this hard run-easy jog recovery cycle 3 or 4 times a session. Other days I do my normal easy 3+ mile runs (outside when the weather permits) through town. On the weekends I do a longer run of an hour or more at a comfortable pace. I repeat this cycle each week, with variations due to the running season (winter is slower/less running than summertime) or whether I am recovering from an injury or getting back to running after traveling or recovering from a race. Another property of strong centers is local symmetry. 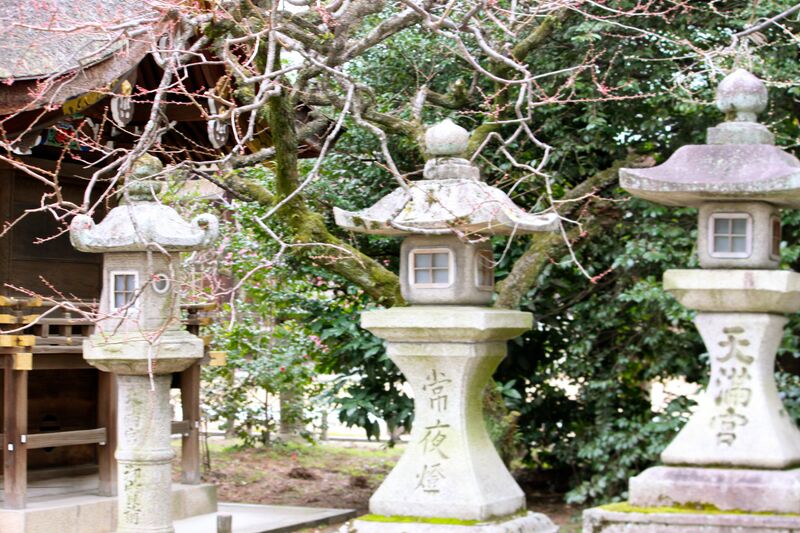 The photo of these shrines (again, taken in Kyoto) illustrates this. The shapes of the rooflines, windows, and pedestals are similar, not identical. Slight variations make them more interesting. 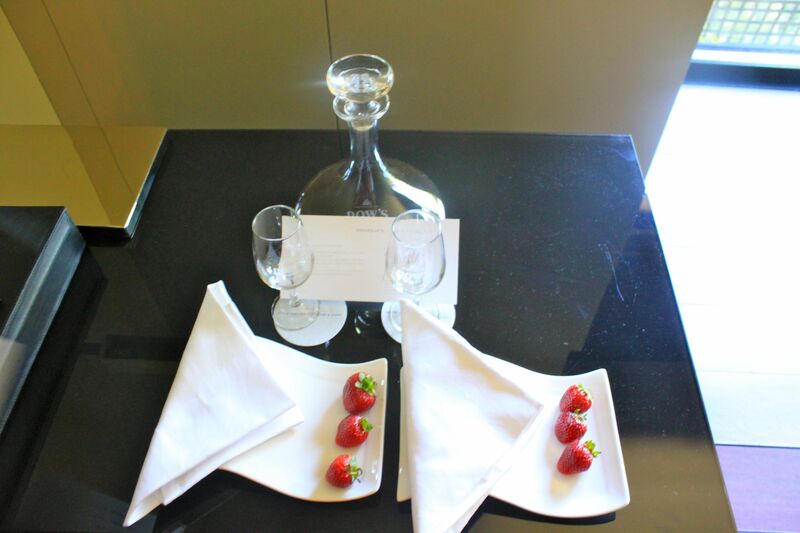 Here is the welcoming Port wine and strawberry arrangement that my husband and I found in our Doro valley hotel room in Portugal. Symmetrical. But berries are closer together on the right hand plate. The napkin folds differ. Perfect symmetry is less pleasing (at least to me) than near symmetry. Alexander claims that a hand-hewn quality strengthens centers (he calls this property “roughness”). When I discover a strong system of centers I get an emotional kick. And there it is. You discover Alexander’s properties when you engage with the things in your life and form personal connections (rather than letting the scene just float by). Finding Alexander’s properties involves a bit of luck, developing a discriminating eye, and being on the alert for positive connections between what you are experiencing and/or making. Making strong, lively centers is another matter altogether. Yet how hard can it be? Well…that is a topic for another blog post or two.